Your Whangarei Florist is ready to deliver joy to someone special in your life. For any occasion, Flowers on Bank will create a unique gift that brings smiles and happiness to every recipient. Who will you deliver flowers to today? Birthday, Wedding Anniversary, New baby, Thank you, Sympathy, Congratulations, Farewell, I'm sorry!, Or just because. Our vibrant collection of floral bouquets is variable by season and by occasion! We hand-cut and tailor make each of our gorgeous arrangements to customer specification. Looking for something a little different? Why not send a specialty gift basket bursting with luxury items, gourmet treats or pampering goodies! Kiwiana themed bouquets of native flora reflecting on New Zealand’s unique culture. Combinations of fresh and faux plants displayed in natural woven baskets with accents of paua, perfect for every Kiwi! Need flowers on a shoestring budget? 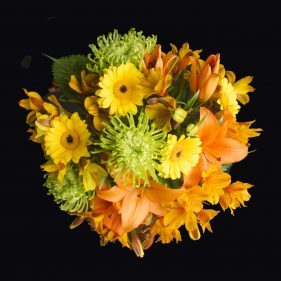 No problem, we have a range of inexpensive seasonal flowers that will delight both sender and recipient. Buying for that person who has everything? Or that person who has exceptional taste and style? Flowers on Bank loves to create unusual pieces to suit the creative minded. Beautiful silk and quality faux flowers that last forever. Create that welcoming ambiance in your home or office with our life-like, easy maintenance artificial arrangements. Due to public holiday we will be closed on 19th April, re-opening 23rd April. We will also be closed 25th April. 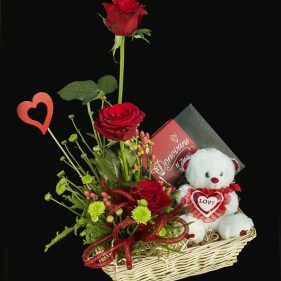 Deliveries requested for these days will be delivered as soon as possible. Based in the central city, Flowers on Bank is a Whangarei florist with a difference! 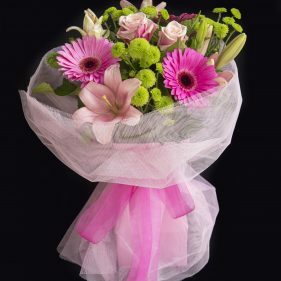 Our lush, creative floral bouquets are designed to stimulate the senses, melt hearts, create joy and provide comfort. We carefully select only the freshest blooms for each of our designs, ensuring your floral arrangement will last almost as long as the joy it will bring to the recipient. We hand cut and arrange all of our bouquets, tailor-making each element to the occasion at hand. Searching for a Whangarei florist with flair? We’re right here! 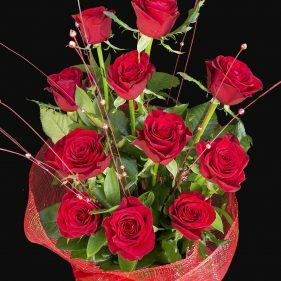 A gift of flowers is a gift of love – glorious, sumptuous, thoughtful, delicious and delightful; designed to enchant, designed to comfort. Whatever your reasons for choosing us, when you select Flowers on Bank for your special occasion, you are in very safe hands! We are able to advise on suitable floral arrangements for everything from weddings through to romantic gestures, celebrations, get-better-soon bouquets, funeral arrangements and much more: we know how to convey your message through flowers, creating the right atmosphere for every occasion. Browse our most popular bouquet collections and order online, or contact us directly to place your order; you’ll find our service as bright and fresh as our flowers!